Outstanding. Works exactly as advertised, no muss no fuss. Let me pull yet another .esp out of my bloated load order. Wish more folks took fuller advantage of what SKSE can offer. 2 thumbs way up for this one! 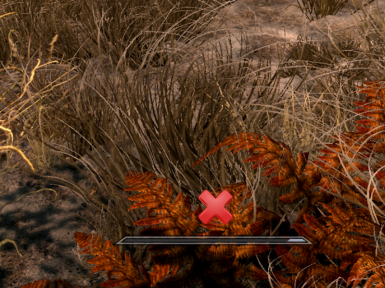 Is it possible to remove the "Weapon Enchantment Bar"?, i know you can do it with the mod "Less Intrusive Hud"...but that mod interferes with iHUD that is a must mod for me. I've not long started to play skyrim again, has this longest time, but recently stopped working because any enchanted weapon, I had to re charge with T and what ever soul gem I had on me .. Very nice! Now to enchant loads of custom named weapons! SSE version please. There are other mods that do this but they require you to actually recharge the weapon so it's an infinite spell that they give you instead of making it so that the charge never reduces. Hm, you know you can recharge any weapon by using soulgems, right? I don't know you but I have thousands of filled soulgems in my chests that I can use at any time. Your mods are absolutely quality man. SKSE plugins are a totally new avenue for modding and I'm glad you've gone and made these. They all work as intended and are well done. Keep at it dude. Sorry to say. It worthless without the .esp files. Otherwise, put that back on SSE, will ya? Why would a SKSE plugin need esp files? This is not a cheat mod, is a sense making mod! I never understood why armor enchanting is forever enchanted, but the weapons are not! This mod makes enchinting so much better, and before someone says "But the charging is for balancing", well, that is not the reason for the enchanthing diference between soul gems? more powerfull soul gems equals more powerfull enchantments, that is enough balancing for me! thank you for this mod!